As an entrepreneur, finding a M&A exit is not as difficult as you thought. As a startup entrepreneur in Southeast Asia, merger and acquisition(M&A), apart from initial public offering(IPO), is becoming a popular exit option and one of the best ways to harvest their hard working in the company they created. Usually, there are several factors at play but the most essential and key causes are the consequences of capital inflow from foreign conglomerate, Japanese company for example, into Southeast Asia and the policies restricting the portion of ownership of international company desiring to set up companies in this region. Due to the fact that acquiring a local company brings more efficiency than circumventing regulations from individual countries, both aforementioned factors significantly boost the continuously happening deals in Southeast Asia, further accumulate enough momentum for more potential M&A within Southeast Asia startup scene in the following years. With the increasing opportunities to collaborate with those deep-pocket players or sell out one’s company, catching the attention of the international companies and proving the strategic value of one’s company become the priorities for startup entrepreneurs. Nevertheless, the way to do that is often obscure and complicated due to the limited information and mysterious tactics of acquirers and investors. Thankfully, by delving to two of the indicative M&A cases in Asia, Didi-Uber deal and Alibaba-Lazada deal, there is a glimpse of some takeaways which may assist with the goal of future M&A progress. Over the past few months, the majority of the public would never anticipate that the world largest mobile taxi-hailing company, Uber, sold its biggest subsidiary, Uber China, to the local fiercest rival, Didi Chuxing. This deal, however, comes as no surprise if one takes a close look at both parties’ strategy — Overspending on driving subsidy to increase driver number and further to augment market share in order to defeat remaining competitors. With that said, the reasons why both Uber and Didi accept the acquisition deal have far more global strategic deployment than merely financial issues even though both have burned out billions of dollars. For Uber, the acquisition by Didi, under no circumstances, is such a tremendous failure. Instead, it brings Uber into another unprecedented ground, focusing more on developing new techniques, such as self-driving, and operating business in other developing countries. In Didi’s case, on the other hand, combining the two companies alone, the percentage of market share could amount up to 95%, indicating that the fusion of two parties would have prominent influences over pricing, marketing campaign and even the growth direction of the entire industry. Obviously, from this deal alone, it discloses the truth that the appearance of M&A within the same industry contains tactical strategies as well as future profitability. For a startup company, from the case above, occupying certain amount of market share (like Uber China does) is indispensable in order to earn a favorable deal. Next, brand image is also the key. Didi’s acquisition over Uber potentially paves the way to expand internationally due to the burgeoning opportunities to get recognition from counterpart’s investors, eliminating the obstacles ahead of global expansion. Taking place a couple of months ago, the striking new of the acquisition by Alibaba in Southeast Asia just hit the headlines on most of media coverage. As a B2C and C2C marketplace giant in China, Alibaba has never given up any chances of showing presence in every corner of the region. After reclaiming Southeast Asia for several years, the shadow of the Chinese giant remains not big enough and maintains several steps behind those leading players, such as Lazada. On the contrary, as one of the leading B2C marketplaces in Southeast Asian region, Lazada makes great effort to build complete logistics system and fulfillment service, transforming itself from a notoriously Alibaba’s duplicate into a remarkable benchmark marketplace. Obviously, Lazada has step by step overcome the problems of culture difference, segmented geography and is equipped with a deeper sense toward diversified shopping habit across Southeast Asia region. In order to gain the advantage of what Lazada has built, Alibaba spent 1 billion to acquire the buyout stakes in order to accelerate the operational progress in Southeast Asia. In other words, by acquiring Lazada, Alibaba could not only save unnecessary financial resources to squeeze out those leading players but also maintain essential energy to come up with comprehensive strategies to build another marketplace empire in this region. From a startup’s perspective, the significant strength of a company over one’s competitors, whether in infrastructure or customer relationship, would highly boost the value of the company, increasing the opportunities of being acquired from larger conglomerate. In Lozada’s case, even though one of the critical reasons why Lazada accepts the deal offered by Alibaba is the shortage in cash flow, it has shown the public about Rocket Internet’s capability and retrieve a big amount of money back. 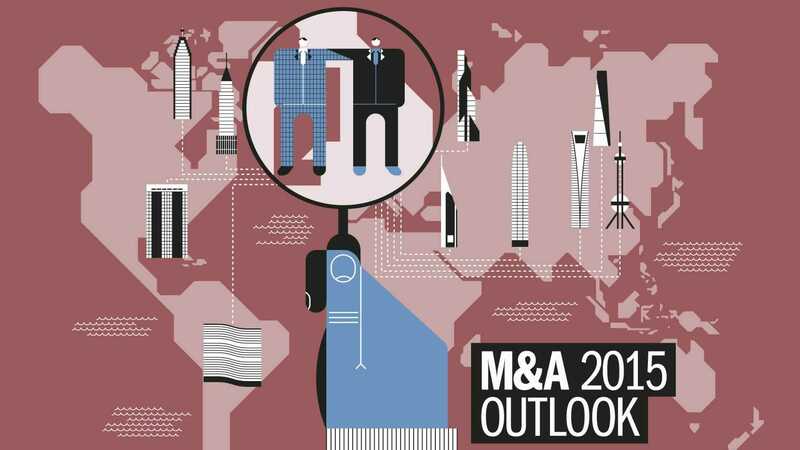 In conclusion, most of the M&A case take place with strategic considerations. As an entrepreneur, no matter which industry one is in, desiring to find an exit for startup journey, only by enhancing company’s capability and cultivating unique strength could bring one to the exit with the bumper harvest.